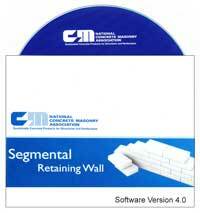 This file contains Allan Block retaining wall block geometry and technical information as well as geogrid technical information that may be used when designing with SRWall. Please contact the Allan Block Engineering Department at 800-899-5309 or via e-mail at engineering@allanblock.com with questions regarding this vendor file, Allan Block products, or how our AB Walls design software can aid in developing your retaining wall design and construction details. Please enter your contact information below. Once all the fields are complete, click the Submit button. The Allan Block Vendor Data File will then be sent to the e-mail address you provided. Please answer the question below to help us avoid spam. Allan Block does not share your information outside of our distribution network. Your e-mail will not be put on any spam lists and will only be used for Allan Block products, services and programs. Allan Block is providing this data with the understanding that it is the responsibility of the engineer of record to ensure that all input and output information is correct and pertains to the project. Allan Block Corporation assumes no responsibility for the use or misuse of the provided information. AB Walls is available to all engineers and is proprietary to all of Allan Block’s retaining wall products. The software includes static and seismic design methodologies for internal, external and Internal Compound Stability (ICS) calculations. To learn more about AB Walls contact the Allan Block Engineering department or read more about AB Walls here. Note: If the block used in your project is from the Allan Block Europa Collection, including the AB Abbey Blend pattern, there has been a 30% reduction applied to the connection capacity to compensate for the tumbled texture of the block and the smaller core area for our Rock-Lock connection. If the wall for your project uses the AB Ashlar Blend pattern we have reduced the connection capacity by 10% to compensate for the variations in the size of the Rock-Lock area due to the 4 block pattern. To request a copy of AB Walls, contact your Local AB Sales Representative.